It may be as simple as keeping the real world at bay and allowing ourselves to escape into history and fantasy, or as complex as reader response theories would have it. But the facts, and the economics, speak for themselves: in the current marketplace, romance (and romance-inflected historical fiction) is compelling enough to be the genre that sells the most books. I say that alone makes romance fiction the badass of the publishing world. I am inspired by fellow readers and writers who are blogging and tweeting to share what moves and intrigues them, creating a groundswell of commentary and conversation that is literary, limber, and occasionally licentious. But I wasn’t compulsively returning to Thornfield because it was a classic novel or because it impressed adults. The romance of Rochester and Jane had me by the throat, and I could not put it down. I still find the conversation between a brooding man and his (child’s) governess is frequently the most intensely romantic element of a novel. It was easy to find my way to other classic tales, and the romances of Elizabeth and Mr. Darcy, along with the anti-romance of Scarlett and Rhett. In 7th grade I had an addictive fling with Barbara Cartland’s category romances about dukes and waifs. I also read steadily through all of Victoria Holt(Jean Plaidy/Philippa Carr), and Anya Seton, as well as Marion Zimmer Bradley and Mary Renault. 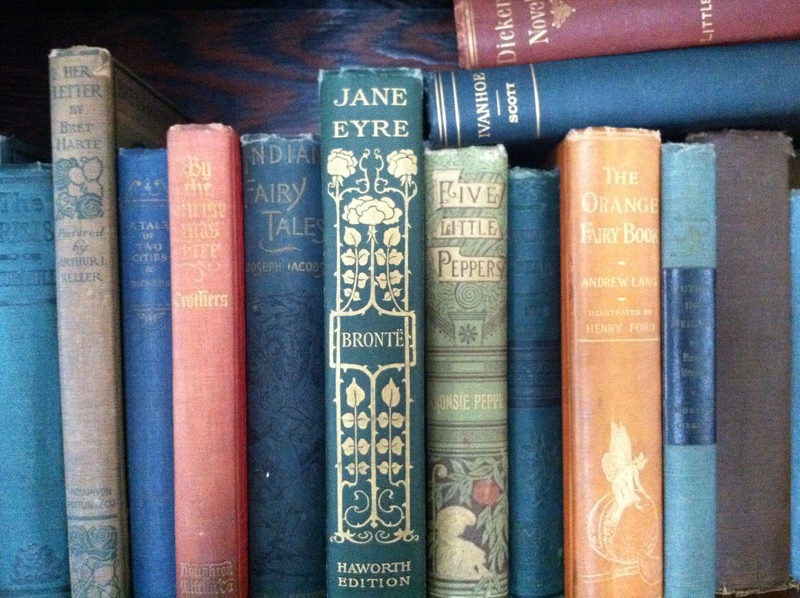 I’ve been a lifelong voracious reader of fiction that places romance at the center of the narrative, but finds expression all across the literary canon from the Brontes and Jane Austen — or Edith Wharton and Nathaniel Hawthorne — to Diana Gabaldon and Sharon Kay Penman, to Loretta Chase, Joanna Bourne and JR Ward. I’m intrigued by what badass hero tropes offer us as readers, and I find myself with a renewed urge to write about what I’m reading. This is in spite of the fact that smarter people than me are actively and thoughtfully exploring why (mainly) women read romance. Academic scholars at leading institutions are beginning to study and teach the genre. But it doesn’t take ivy walls. The world certainly doesn’t need another romance blog at this late date. Nearly every day I read something on another blog that offers me staggering insights, along with the fun of finding others who share my addiction to epic series like Jo Beverley’s Malloren books. Our unprecedented access to each other via social media has produced a rich tapestry of criticism and commentary and as readers and writers we are mutually engaged in weaving multiple meanings from tales of epic love and heroism, whether they are ‘high’ or ‘low’ art. Why not examine the compelling romantic and historical novels of Sara Donati alongside the classic texts of James Fenimore Cooper that inspired her? Or indeed also the film treatment of the same material, which remains one of my all-time favorite movies. Even Pamela in its day was a pop culture and marketing phenomenon. Today it’s the “conquest” of romance fiction by erotica and paranormal themes, in the wake of Twilight and 50 Shades, and the fan fiction phenomenon. Mainstream historical romance has narrowed its scope primarily to 19th-century Britain and time travelers in kilts are less common than they were a decade ago. Yet in spite of the genre trends, I think the appetite remains for fiction that transports us, while offering familiar and beloved archetypes — or even familiar characters re-imagined — and nurturing our need for fantasy and happy endings. Far too many people think romances, and romance writing, are “easy.” Speaking from experience and frustrated desire (yes, like so many others I have chapters of failed romance writing experiments stashed on my hard drive), I am keenly aware that producing the peculiar and delightful alchemy of the romance novel is truly the opposite of easy. For me, the stumbling blocks were plotting — and discipline. I was all about ideas and concepts for a good romance read, but utterly lacking the skill and persistence to craft the pages. And it’s not just the writing of romance that gets dismissed. Reading romance means there are always going to be times when one has to stifle the reflexive urge to apologize for what you’re reading. I’m tired of that. I’m a very critical reader. 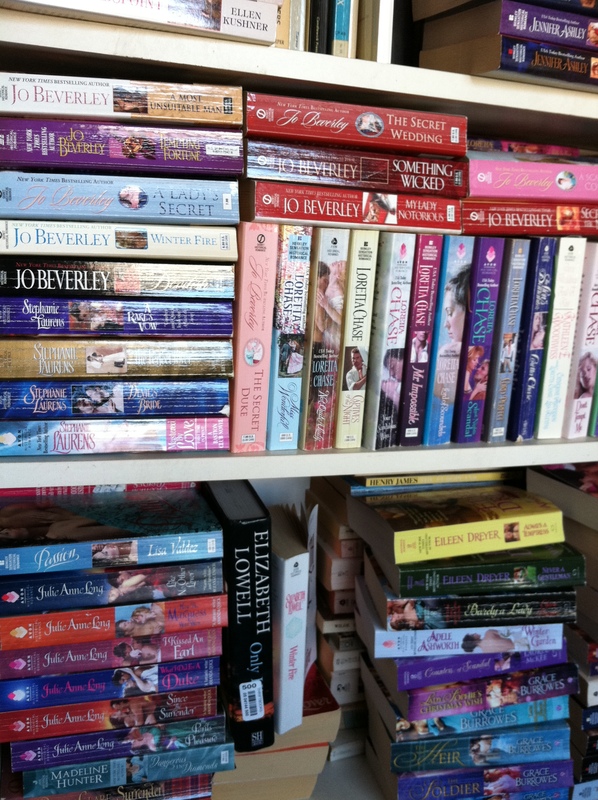 I’ve been reading romance since 7th grade and I have a lot to say about it. So – what do people do when they have a lot to say about books and aren’t in college or grad school anymore? Reader, we blog. Romance is the badass of publishing, offering escape and happy endings along with the space to explore challenging themes, deep emotion, and the human condition. And I hope I have some great reads to recommend along the way. And that is the ‘why’ of Badass Romance. So welcome – if you enjoy what you find here, please consider following the blog using the Follow link in the sidebar. This is a personal blog and the views represented are my own. Please be aware that some of the material discussed may not be suitable for minors. I have been having a great time reading posts. Love the blog! Why, however, is there no “search”?